This is the easiest and least expensive insurance policy to buy. As long as you pay your premiums on time, your beneficiaries are paid a tax free lump sum in the event of your death. This policy is designed to stay with you your “whole life” at a fixed premium. Since it has a cash value, you can receive dividends from your policy. Just like term insurance, your beneficiaries will receive a tax free lump sum payment in the event of your death. This policy is similar to whole life except that it separates out the premium payments into two different accounts. These three different insurance policies may seem complicated at first glance, but we can easily explain to you their distinguishing features they each offer. Once we know which kind of policy is the best for your needs, we can focus on getting quotes from various life insurance companies to find you the best price. Term life insurance policies cost less than the other types of insurance. As a result, they are only good for a set length of time, or “term,” which often ranges from 10 to 30 years. These policies are beneficial for many situations. For example, if you just purchased a home and now have a mortgage, or if you have young children or anyone who depends on your income, a term life policy could be a good fit. If you should pass away all of a sudden and your income is gone, who will pay the bills for your family? Will your spouse and children be able to make it without your paycheck? Probably not. The mortgage company and other creditors will still want their money. But who will pay? A term insurance policy could help your family from losing the home you worked so hard to get. Whole life insurance policies cost more than term because they do offer more benefits. Along with providing life insurance protection, whole life policies also create an account that builds cash value that you can borrow against in times of financial need. In the event that you pass away before the money is paid back, however, the payout will be reduced by the amount that you already took out. In other words, let’s say you borrow $10,000 and your policy is for $500,000. Your family will receive $490,000 in the event of your death. These policies are good for as long as you continue to pay your premiums. The premium of whole life policies is fixed for the life of the policy, and they are good for as long as you continue to pay your premiums. You should get this policy when you are young and healthy to ensure the maximum benefits. Universal life insurance policies combine the best of both of the previous two. This policy was designed to be more flexible than term or whole life by allowing you to adjust your premium payments. Just like whole life policies, universal life policies can accumulate cash value over time. In times of financial need, you can borrow against this cash value, or even use it to pay your premiums. Universal life also allows you to change the amount of your coverage easily. As your circumstances change, you can adjust your policy to reflect those changes. Unlike a whole life policy, the savings component of your universal life account has a variable interest rate that may provide higher returns during high interest rate periods. Most policies now offer accelerated benefit riders, also known as “living benefits.” If you have a terminal, chronic, or critical illness, you could access some of the death benefits before your death, perhaps using the money to pay your mortgage, hospital bills, or anything else you want to use the money for during your time of need. 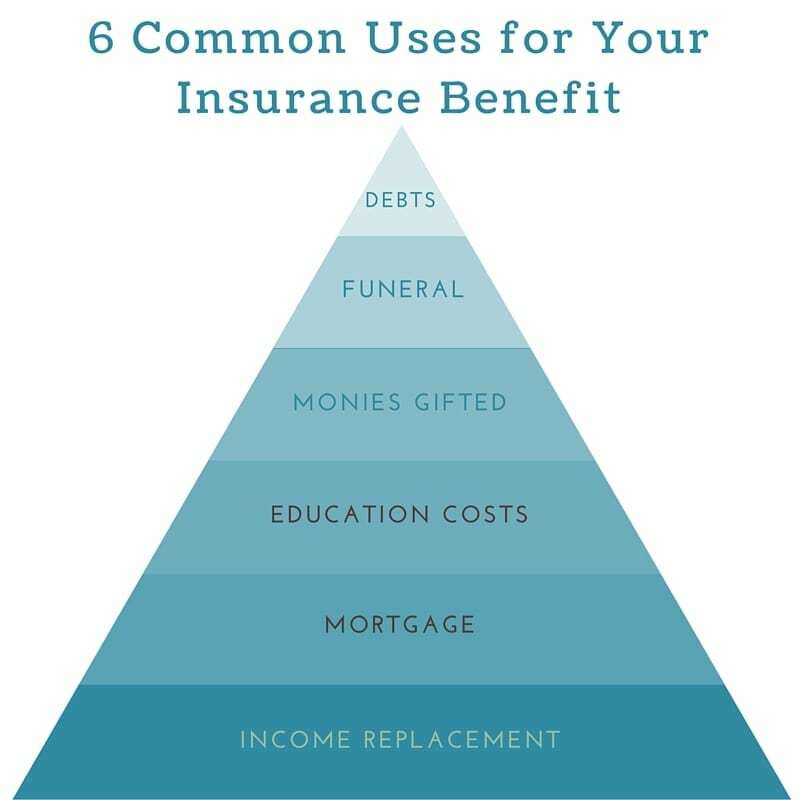 Some people think life insurance is just another expense that they don’t need, but you really should consider what would happen if your income was out of the picture. What would happen to your children? How could they afford to go to college? Who would pay for the funeral cost? Stop and think how devastating it would be not having coverage to take care of the people you love. We can work with any budget to get you the coverage you need. Remember some coverage is better than none. If you can only afford $100,000 in coverage, that is better than zero, right? We also offer final expense insurance, allowing you to take care of your final expenses so that your loved ones don’t have to. Each policy type is unique and more suitable for some people than others. We have a solution for everyone, no matter your budget. If you would like to run a term life insurance quote, you can easily do that on our website. We will not even ask your name and phone number unless you would like to apply. We are not a lead service, so will never sell your information to anyone. For more information about these policies, don’t hesitate to get in touch with us. Is term insurance good for me? What will your family do when you are gone?